These hybrids come in such wonderful colors. 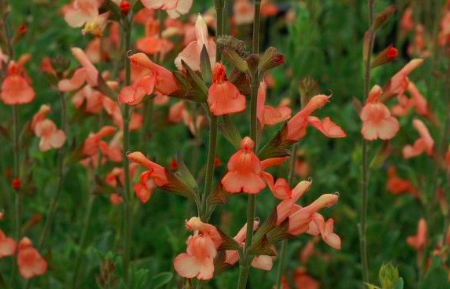 This dashing Sage displays light orange flowers on tall stems from spring well into autumn. Forms a semi-woody shrub and relishes good drainage and hot locations. 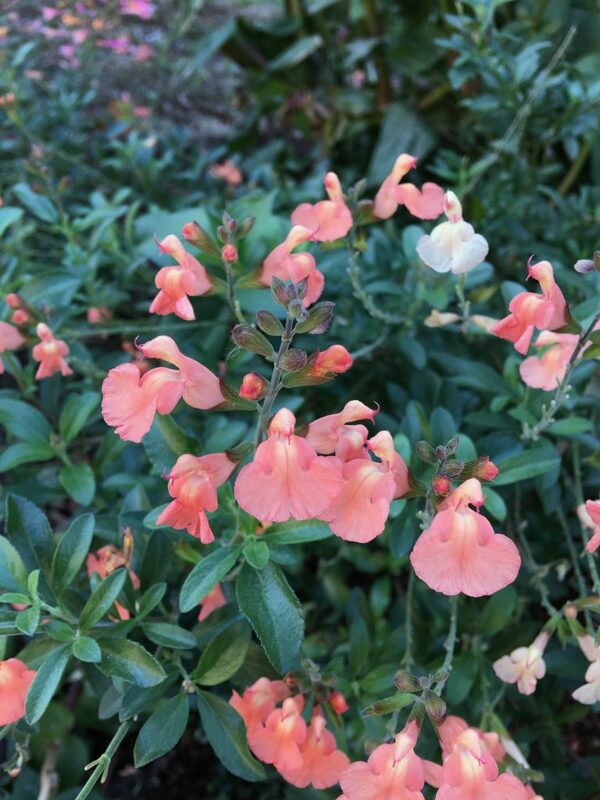 Great seasonal container plant as well. Best way to grow this Salvia is to double dig the soil to incorporate oxygen and then berm it up a bit. Plant and water faithfully all summer to spur bloom as well as increase the plants mass and establishment. This will ensure a sturdy plant going into winter. I wait to prune it back in spring until all danger of frost has past. In these conditions it will endure our coldest winters with no problem. Hell strip loving plant to 30″ x 30″. Hummingbird plant. Long blooming. Light deer resistance.